home / location & lifestyle / blog / refer a friend! As a Brunswick Forest resident, we would love to thank you for choosing to call our coastal community home. Now it is your friends and family’s turn! As a resident you enjoy top-quality lifestyle options, countless amenities, convenient on-site shopping, and a variety of real estate opportunities daily! 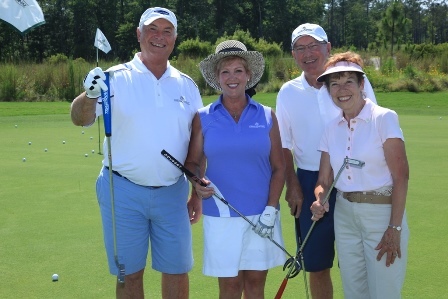 We invite you to refer a friend to Brunswick Forest and allow them to sample the one-of-a-kind lifestyle that you love! With more than 1,000 families already here, Brunswick Forest would like to introduce our coastal community to your friends! Please allow us to welcome your friends and family to the Coastal South’s fastest growing community, Brunswick Forest. Let us know who would love Brunswick Forest as much as you do here!